0 Win A Saliva Lifetime Pass!! 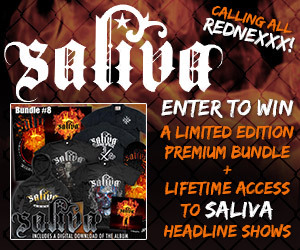 Enter To Win A Limited Edition Premium Bundle & Lifetime Access To Saliva Headline shows!!! 0 Eve To Adam Ticket Giveaway!! Eve to Adam are currently out on the road supporting Creed and want to give you the chance to check out a show! Visit it the contest page, and enter your information, and you could win a pair of tickets to see Eve to Adam in your town! Click here to visit the contest page! 0 Jane’s Addiction – The Great Escape Artist Guitar Giveaway!! After eight years since their last studio album, Alternative Rock pioneers, Jane’s Addiction return with their new album, The Great Escape Artist, in stores now! In celebration of the release, Jane’s Addiction has teamed up with Hard Rock Hideout to give away a Paul Reed Smith SE Custom 24 guitar signed by Perry Farrell, Dave Navarro, Stephen Perkins, and their bassist Chris Chaney along with a copy of the new album. The Great Escape Artist features, “Irresistible Force,” as well as “End To The Lies,” and is available to download on iTunes now. Fans can watch the official video for “Irresistible Force,” above and make sure to enter for your chance to win! For more information on Jane’s Addiction, make sure to check out, www.JanesAddiction.com. Click on the banner below to enter the contest!! 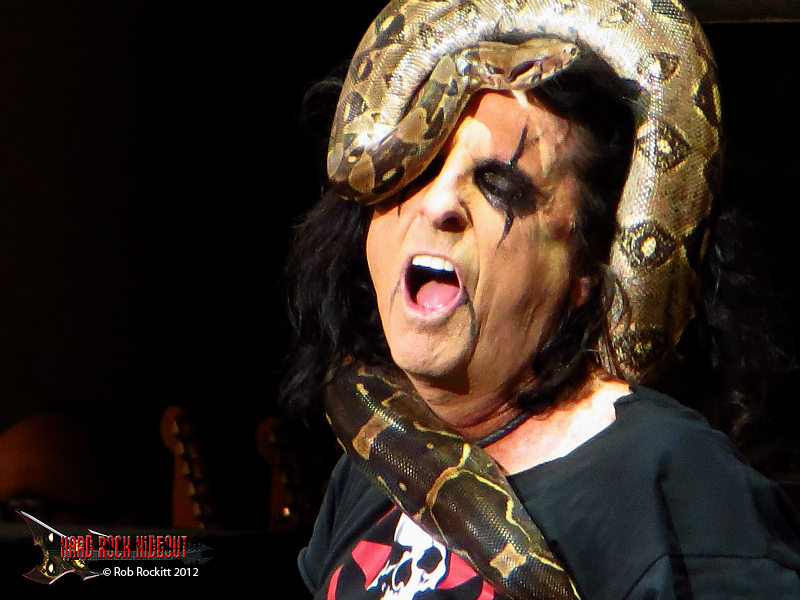 1 Awesome Alice Cooper CD Giveaway!! Hard Rock Hideout has an autographed copy of Alice Cooper’s excellent new CD, Welcome 2 My Nightmare, and unsigned copy to giveaway, to two lucky winners. Want to win a copy? All you have to do is Like Hard Rock Hideout on Facebook, and complete the information below to enter the drawing! Good Luck!! Can’t wait for the drawing? You can purchase the digital download of Welcome 2 My Nightmare at iTunes at this link! Hard Rock Hideout has a cool Black Tide T-Shirt, and an Autographed copy of Black Tide’s new CD, Post Mortem to giveaway to one lucky reader. Enter Your Name and Email Address in the box below to enter the drawing!! 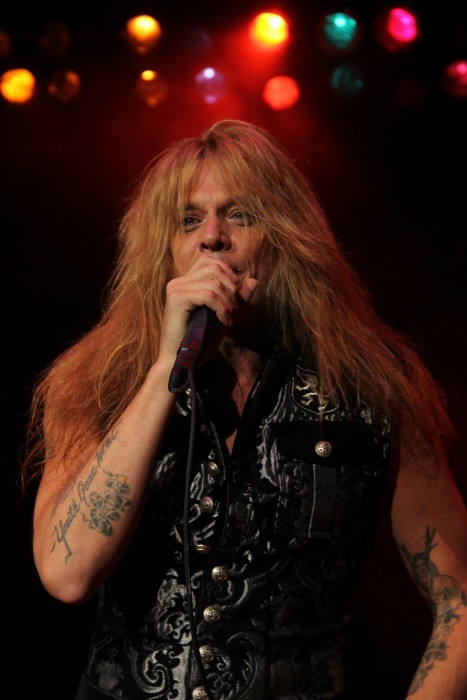 1 Ozzy Osbourne/Randy Rhoads Guitar Giveaway!!! To commemorate the reissues of Ozzy Osbourne‘s classic 1st and 2nd solo albums, Blizzard of Ozz and Diary of a Madman, Sony Legacy is giving you the chance to win a custom Randy Rhoads JS32T Jackson guitar! Long revered by rock fans around the world, these two albums created a template for hard rock in the 1980’s and beyond as they were marked by the ground-breaking and historic union ofOzzy and the late guitar hero Randy Rhoads. Click on the banner below to enter!! 4 Rise Against T-Shirt Donation and Signed Album Giveaway!!! Help Is On The Way! Rise Against are donating 50 T-shirts to the Los Angeles Youth Network in your name. Winners will have a t-shirt donated in their name, and will also receive a signed copy of Endgame and a t-shirt for themselves. • Fill in your info in the form box below. • In the “Help Is On The Way” box leave a couple sentences on how you participate in your community, charity, etc. in order to complete your entry. • Rise Against will pick the 50 best entries. Rise Against‘s new album Endgame is out now. The band will be playing with Rage Against the Machine and Muse at L.A. Rising on July 30th and will be touring with Foo Fighters in September. To see where the tour stops near you, visit www.RiseAgainst.com for dates and more news on the band. 0 AC/DC Let There Be Rock Blu-Ray Giveaway! Update!! Collector’s Edition will be available on DVD for $39.99 SRP and Blu-ray/DVD combo pack for $44.98 SRP. AC/DC – Let There Be Rock is fully remastered and available on DVD and Blu-Ray for the first time with all 13 song performances, including classics such as “Whole Lotta Rosie”, “High Voltage”, “Highway To Hell”, and the epic anthem “Let There Be Rock”. Lead guitarist Angus Young takes center stage in his trademark school-boy uniform and captures the audience with his energetic antics and frenetic solos. The film contains interview segments and humorous backstage footage of these hard rock pioneers, especially those last interviews with Scott. This DVD release will be a great opportunity for fans of all ages to relive one of the greatest performances by one of the most decorated rock bands in history. Hard Rock Hideout has two copies of the the Let There Be Rock Blu-Ray to giveaway to two luck AC/DC fans. Update!! We received the giveaway copies of the Let There Be Rock move, and we were send the Collector’s Edition with the DVD & Blu-ray, Collector’s Tin & more. If you entered your name in the drawing, you are already registered to win. If you haven’t entered, do so now!! Enter your name and email address in the box below to enter the drawing. This contest will end on June 6th, so act now!! To celebrate the re-release of Pearl Jam’s 2nd and 3rd albums (VS. and Vitalogy), the band is giving one lucky fan a chance to win an Epiphone Les Paul Custom guitar! Please click on the image below to read the contest details, and to enter your name for the drawing!! This contest ends on May 30th, so act now!! Hard Rock Hideout is giving away to one lucky fan, an Autographed copy of the new EP, from Utah rockers Get Scared! All you have to do to enter is Like Get Scared on Facebook, and enter your name and email address in the box below!! Submit Your Name and Email in the box below! You can check out the Get Scared Videos “Sarcasm” and “If She Knew Voodoo LIke I Do” below! 0 Eddie Trunk’s Down NYC VIP Giveaway! Eddie Trunk has partnered with his friends in DOWN to bring you a sick VIP Giveaway! On Thursday, April 28th, Eddie Trunk is hosting a sick night of heavy metal featuring DOWN at the Best Buy Theater, in New York City. Eddie has personal tickets that he wants to give to you, as a thanks for your support. Also, all who enter this giveaway automatically receive a 10% discount code to the DOWN Nola online store! Please visit EddieTrunk.com to Enter the contest!! BLACKMORE’S NIGHT, the group featuring husband and wife Richie Blackmore and Candice Night, will be releasing their new album Autumn Sky on January 18th. With a career spanning nearly two decades, the band of minstrels has gained crossover success all over the world with its new genre of “Ren and Rock” music. The lyrics, written by award winning singer/songwriter Candice Night, are inspired by nature and the myths and fairy tales they encounter on their international travels. The melodies, composed and arranged by Grammy nominated Ritchie Blackmore, encompass musical structure and the essence of melodies from the early 1600s. And then they are “Blackmore-ized.” Blackmore’s Night’s last album, Secret Voyage, debuted at #1 on the Billboard New Age Chart and held that spot for four consecutive weeks. In addition to being known from their unique sound which combines traditional as well as modern day instruments (including electric and acoustic guitars, keyboards, violins, shawms, chanters etc), and Candice’s enchanting lyrics and vocals, they are also known for their fabulous live shows, many of which have been performed at castles and other exceptional venues that add to the mystique and warmth of their performance. Blackmore’s Night has appeared nationwide on PBS and Discovery channel specials, and has been awarded the Best Album of the Year and Best Vocal Album of the year by NPR New Age Reporter for their past 7 studio CDs. Autumn Sky brings us 14 new Blackmore’s Night songs, plus a cover of “Celluloid Heroes” from The Kinks. Recorded during Candice’s pregnancy, Candice and Ritchie have dedicated the “Autumn Sky” album to their newly born daughter Autumn Esmerelda Blackmore. Like what you hear? Hard Rock Hideout has a copy of Autumn Sky to giveaway to one lucky reader! Enter to Win by submitting your full name and email address in the box below! Hard Rock Hideout & Universal Music Group are bringing you the coolest, most rockin’ Sweepstakes of the 2010 Holiday Season! You can enter to win A CD Prize Pack that includes Greatest Hits titles trom Iron Maiden, Def Leppard, Styx, Soundgarden, and U2’s Classic Album, “The Joshua Tree”. One Grand Prize Winner will also get Nirvana’s 2004 Boxset, “With The Lights Out”! 2 iPad Giveaway From Jimmy Eat World & Hard Rock Hideout! Invented, the sixth full-length album by Jimmy Eat World, contains the signature big hooks and sing-along melodies for which the band has become famous. Fans of the band’s older hits like “The Middle,” “Sweetness,” and “Pain” will find lots to grab onto…and those same fans will be happy to learn that Mark Trombino, who served as a producer on the band’s first three albums Static Prevails, Clarity and Bleed American, is again at the helm for Invented. While the music is “classic Jimmy Eat World,” the lyrics come from a completely different place than ever before. To celebrate the new album and tour, Jimmy Eat World has teamed up with Hard Rock Hideout to give one lucky fan the chance to win an Apple iPad. 0 Pantera Cowboys From Hell Giveaway! Got Pantera’s Cowboys from Hell? How about the awesome new Three CD 20th Anniversary Edition of Cowboys from Hell that was released on Tuesday(9/14/10)? Hard Rock Hideout has 1 copy to giveaway to one lucky reader. Submit your name and email address in the contact form below to enter the drawing! Good Luck!! Be on the lookout for a new interview with Pantera’s Phil Anselmo, coming to Hard Rock Hideout on Monday! Roadrunner Records and Hard Rock Hideout are giving you the chance to win a copy of Meat Loaf‘s new album Hang Cool Teddy Bear. Click here to visit Roadrunner Records to enter the contest! 1 Like A Storm Playstation 3 Giveaway!! In celebration of their recent debut album, The End of the Beginning, Like A Storm and Hard Rock Hideout are giving one fan a chance to win a Playstation 3. Enter now for your chance to win! The End of the Beginning features their first single “Chemical Infatuation.” Like A Storm is currently on tour with Shinedown, Puddle of Mudd, and Skillet through mid-February. Visit their MySpace page for tour dates and more updates on the band and make sure to pick up your copy of The End of the Beginning in stores and on iTunes now! Act now! This contest will end on March 15th, 2010. 1 Alice In Chains Guitar Giveaway! To celebrate the release of Black Gives Way To Blue, Alice In Chains and Hard Rock Hideout are giving one lucky fan a chance to rock out with a brand new guitar. Enter now for your chance to win a G&L Rampage Jerry Cantrell Signature model signed by the band. Black Gives Way To Blue is in stores 9/29. In celebration of their recent major-label debut Bright Nights * Dark Days, Cavo and Hard Rock Hideout want to give one lucky fan the tool they need to become a rock star too. Cavo is giving away an Epiphone Special II Vintage Sunburst guitar signed by the band. Enter now for your chance to win! Bright Nights * Dark Days features the chart-topping single “Champagne” and the track “Let it Go” from the Transformers: Revenge of the Fallen soundtrack. Cavo is currently on tour with Shinedown and Sick Puppies through mid-October before joining up with Daughtry this Fall. This contest ends on October 6th, so act now!! 0 Sick Puppies Are Giving Away a Flat Screen TV, Camera Phone, and Bluetooth! In celebration of their new release, Tri-Polar, Sick Puppies and Hard Rock Hideout are giving you a chance to win a 32” Flat Screen TV and 8.0 megapixel camera phone, brought to you by Samsung Mobile™, Rock Prophecies and Virgin Records! Three lucky runner-ups will get Samsung Bluetooth headset. To celebrate their 50th Anniversary, Island Records is teaming up with Hard Rock Hideout to give you a chance to win a pair of tickets to the annual Lollapalooza festival in Grant Park, Chicago and a $100 gas card to help get you there! If a weekend full of live music with mega-stars The Killers, Beasties Boys and Tool (to name a few) wasn’t quite enough then you’re in luck because Island Records is also hooking up the Grand Prize winner with the entire Killers’ catalog, as well as albums from Noisettes, Airborne Toxic Event, and Ida Maria. The prizing isn’t over yet… Island Records is also giving away custom Zippo lighters and music download cards with the top 50 Island songs from the past 50 years to 25 runners up! Don’t pass up your chance to get in on the action! For more information on the festival lineup and stage locations visit the Official Lollapalooza Website. Click on the image below to enter! Here’s your chance to win your very own Jay Jay French Pinkburst Les Paul Standard, PLUS a copy of the new Stay Hungry 25th Anniversary CD. Click below to enter. 1 Enter to Win A Copy of Black Label Society’s Skullage! 2 Lacuna Coil ESP Guitar Giveaway!! On April 21, Lacuna Coil will be releasing Shallow Life, their highly anticipated new album. The first single, “Spellbound,” finds the Italian rockers doing what they do best; layering infectious vocal melodies over pummeling guitars. The band and Hard Rock Hideout are giving one lucky winner a brand new guitar from the folks at ESP. To make things even more interesting, one runner-up will win a $50 Hot Topic gift certificate! This contest will end May 15th, 2009! 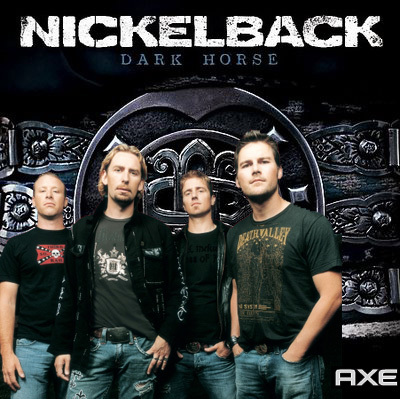 Hard Rock Hideout in conjunction with Soundcheck, an original performance series where you get up close and personal with your favorite artists, is giving away a prize pack of the New Nickelback “Dark Horse” CD, and select Axe products. Enter your name and email address to enter the drawing. Here’s a look at what fans will find in Nickelback’s exclusive Soundcheck performance and interview. Check out tracks from their new album “Dark Horse” and listen to the band discuss the recording process in their exclusive Soundcheck session. Log on to www.walmart.com/soundcheck for headlining acts, noteworthy new artists and all the latest music releases. Hard Rock Hideout is giving three lucky winners a copy of The Answer’s new EP, “Never Too Late”. If you haven’t ever heard the Answer before, this CD/DVD set is a great introduction to the band. To enter the drawing, please enter your name and email address in the box below! Check out video, “Never Too Late” below. 0 Punisher War Zone Giveaway!! Just in time for the release of the new movie Punisher War Zone (In Theaters December 5th), Hard Rock Hideout has a new giveaway for all of you hard rock fans. Hard Rock Hideout has copies of the new Punisher War Zone Soundtrack, and 27×40 movie posters to give away to three lucky readers! The Punisher War Zone Soundtrack features artists like Rob Zombie, Slayer, Seether, Static-X, Hatebreed and many more. Enter your name and email address in the box below to get signed up for this awesome prize package! Check out Punisher War Zone in theaters everywhere! What you need to do: 1.) Log onto http://www.redmusic.com/lordihorror where you will enter your cell phone number to receive a code to download the new Lordi single “Bite It Like A Bulldog” for free. 2.) Go to the official YouTube group(http://www.youtube.com/user/lordihorrorcontest) where you will upload your very own horror video, using the free track of “Bite It Like A Bulldog” you downloaded as the background music. The user with the best video (as judged by The End Records) will receive a Lordi prize pack that will include the following: Autographed Lordi CD catalog (Get Heavy, Arockalypse, & Deadache), signed guitar, and a signed poster. The contest was going to be ending on 11/18, but has since been extended to 11/30 for all the slackers out there. Contest ends on November 30th, 2008. Lordi has a their new CD “Deadache” coming out next Tuesday (10/28), so what better way to celebrate the release than with a horror video contest. What you need to do: 1.) 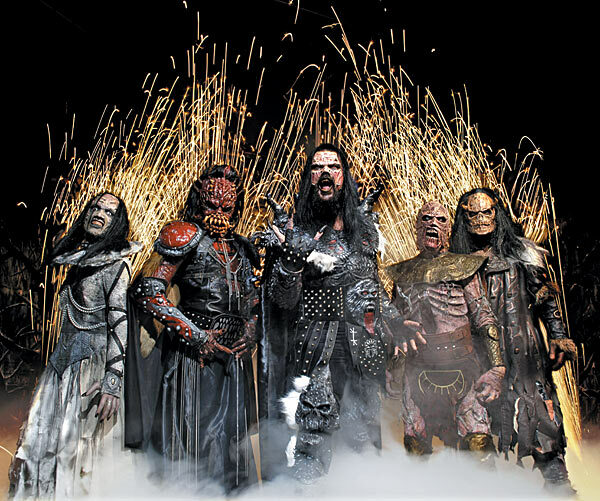 Log onto www.redmusic.com/lordihorror where you will enter your cell number to receive a code to download the new Lordi single “Bite It Like A Bulldog” for free. 2.) Go to the official YouTube group(http://www.youtube.com/user/lordihorrorcontest) where you will upload your very own horror video, using the free track of “Bite It Like A Bulldog” you downloaded as the background music. Contest ends on November 18th, 2008. Here is your chance to win a copy of Megadeth’s new greatest hit CD Set the World Afire! Click on the Album cover below to enter to win!